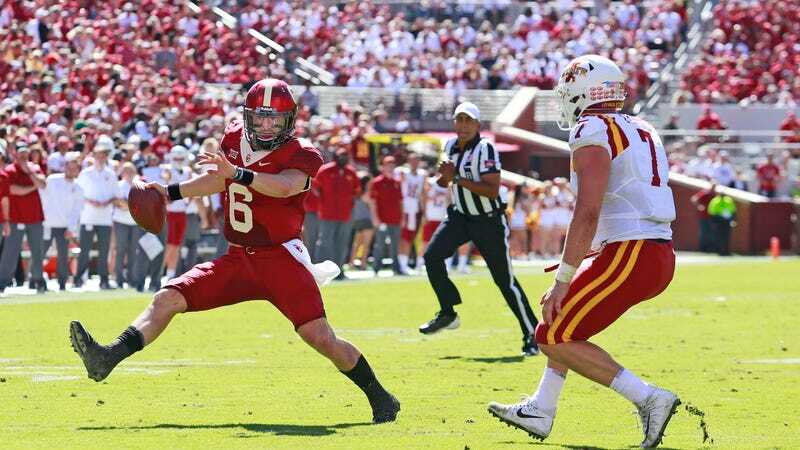 Baker Mayfield and the third-ranked Oklahoma Sooners were upset this afternoon by unranked Iowa State, a 31-point underdog, after the Cyclones outscored the Sooners 25-7 in the second half. Oklahoma appeared to have this one in hand after jumping out to a 17-3 lead behind a pair of Mayfield touchdown passes. Iowa State responded with a 75-yard touchdown drive in the second quarter and a field goal late in the first half, but still trailed at halftime 24-13. Oklahoma turned it over on down on their subsequent drive, and that was that.